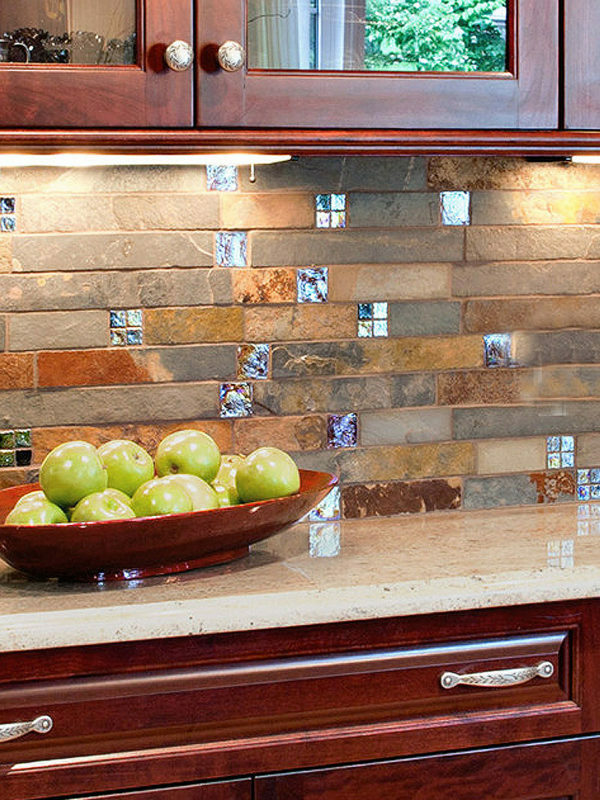 The sprinkling of glass mosaic backsplash tile in this all-white kitchen leaves a trail of beauty and style. While breaking the monotony, both the black flamed granite countertop and glass backsplash tile gives the room some incredibly beautiful outlook that leaves the room looking relaxed and cheery. The white kitchen cabinets on the other hand extend the spotless status quo while enhancing functionality. This entry was posted in BLACK, BLUE, GLASS, GRAY, MOSAIC. Bookmark the permalink.